Getting an amazing insights and original experiences into the lives of Mumbaikars, the colourful Indian culture, customs, traditions and even the exhilarating mythology of Hindu religion. When one says “Ganesh Chaturthi”, the first city that comes in mind is “Mumbai”, right, as all we know during this time the city comes alive with many colours, street processions and massive pandals. 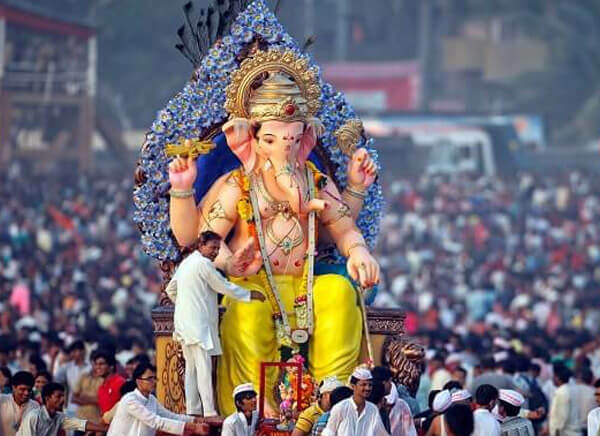 So if you are planning to visit Mumbai during this festival, must opt on our “Full Day Ganesh Chaturthi Tour” which will not take you Mumbai’s most famous pandal(community tent which hold the huge Ganesh idols) but here you will be a part of a local family and understand the history, mythology, culture and fact about this divine festival in the company of a friendly local guide. Mumbai that never sleeps appears to take a break from the speed of daily life during this 10-days sacred Hindu festivals, “Ganesh Chaturthi”, the birth of Lord Ganesh, difficult to believe, right, so join this “Full Day Ganesh Chaturthi Tour” and experience the never-ending charm of Ganesha Chaturthi festival in Mumbai. The tour which begins to pick up from your hotel at around 10:00 AM will take you the community/public pandal (tent) in Khumbharwada (the pottery colony in Dharavi); where with the assistance of a private guide you will explore the beauty and elegance of these extraordinary idols. 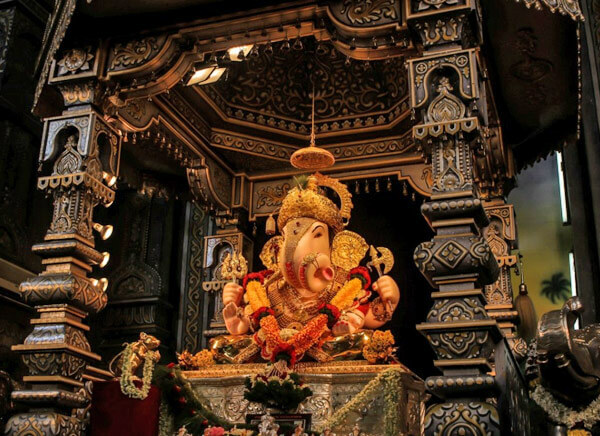 Post this, you will visit different religion families in Dharavi and witness the changes in the celebrations and the ceremony like to bring home a small/ big Ganesh idol, mantras, aarti, prasad of fruits and sweets, especially modak and special rituals. Here you can interact with the family members and learn from them more about the colourful Indian customs and culture. If you think that’s it, so you are wrong to better understand Ganesh Chaturthi in its modern form, further this you will visit the political thinker/ freedom fighter Bal Gangadhar Tilak society who started the culture of collective celebration of the festival as a way to mislead the curfew imposed by the British. Now after getting the deep insight of the cultural, historical and mythological facts about Ganpati Bappas, it’s time to stopover at a local restaurant for lunch and devours the flavours of the city. 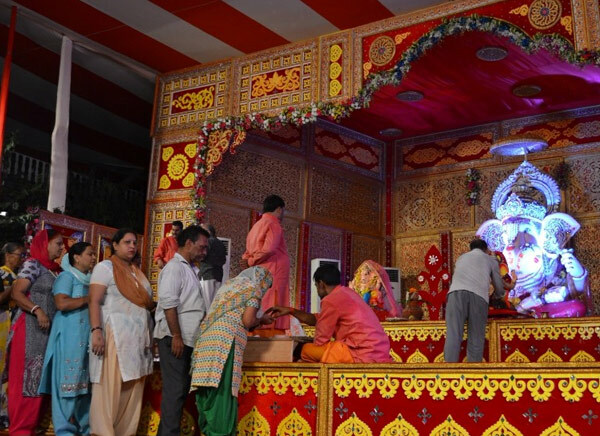 Post this, visit the last and most exciting Girgaon Chowpatty to witness the Ganesh Visarjan ceremony where huge idols are brought down from thousands of pandals (tents) and carried to the sea by devotees singing and dancing all along. In this way your Full Day Ganesh Chaturthi Tour finished with Travelogy India, hope you delighted with the age-old tradition of celebrating Ganesh Chaturthi and get back with eternal memories. At the end of the tour you are free for personal exploration or our guide will drop you to hotel.